with not-so-small customer service requirements. Using Zoho Desk for your customer support helps you deal with the challenges that arise from scaling up your company without compromising on the customer service front. Be it a high ticket volume or agent performance monitoring, agents and managers can now handle them all with ease. Let your work work for you. Boost your team's productivity the moment they log in, with Work Modes. 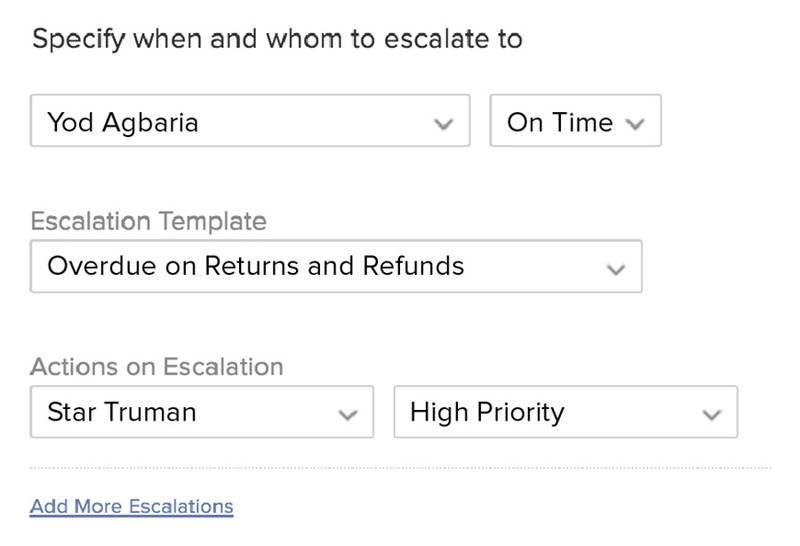 Based on the criterion your agents pick—urgency, type of customer or ticket status—each Mode organizes their tickets, so they can jump in and answer the ones that need them first. Keep track of your team. The HQ puts the most important metrics—ticket traffic, agent activity, overall happiness ratings—in front of managers, so they can constantly monitor and improve team performance. Your team is at arm's length. 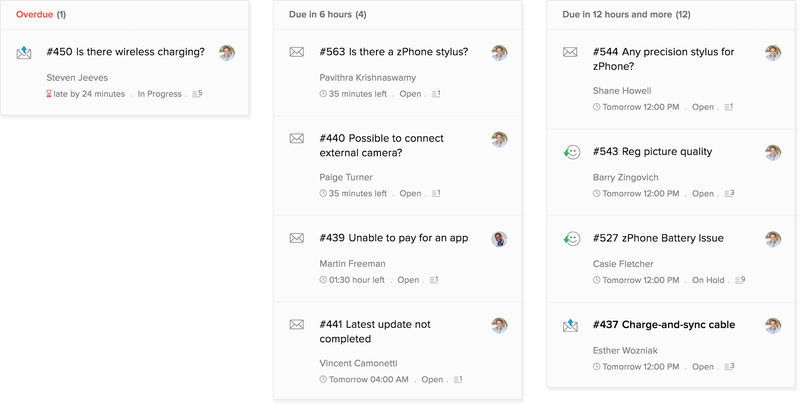 With the Team Feed, agents can tag colleagues on a ticket and ask for help, and managers can follow the progress on tickets from key accounts. Great customer service is a team effort! Make and receive calls right within your browser by integrating Zoho Desk with our cloud telephony partners. See who the call is from, record conversations, and associate calls to tickets. Help customers find answers to their questions with a searchable Knowledge Base. Build and nurture a Community, where customers can ask questions, voice their opinions, and hear from you regularly. 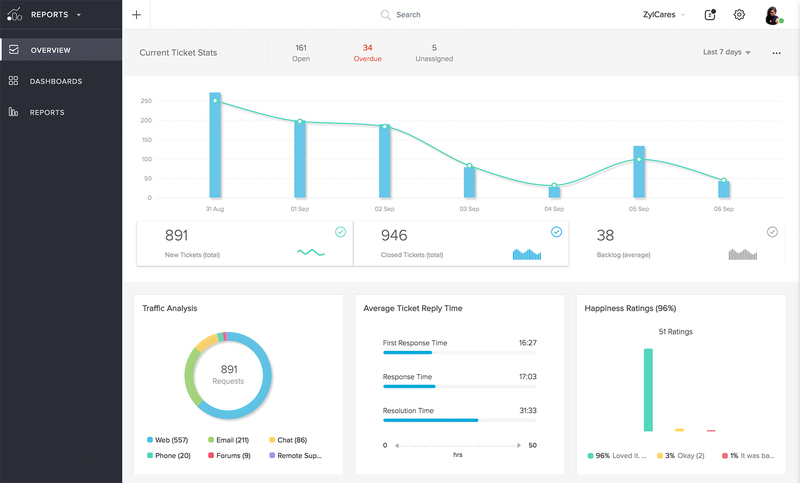 Get full customer context while responding to tickets by integrating Zoho Desk with Zoho CRM. You can now provide each customer the kind of attention they need. Streamline your customer service efforts as your business scales up with Workflow Automation. Meet your resolution deadlines by setting up SLAs. Define workflow rules that auto-assign tickets and tasks to agents, send out alerts, and update fields. Get a glimpse of how well you're performing using Reports. Track key stats that help you identify actionable insights for your business. 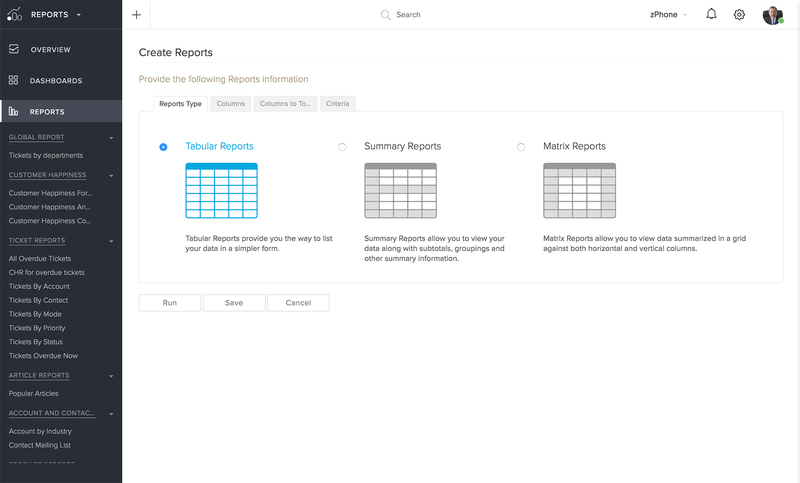 Choose from the available list of reports across modules or build a custom report by yourself. Visualize your stats pertaining to Tickets, Accounts, Contacts, Products, and Articles with built-in dashboards. You can also build your own dashboards, as a bar chart, funnel, pie or line graph, by choosing the metrics that matter to you. Experience Desk for small teams.